Massachusetts born + bred, Shanleigh graduated from Massachusetts College of Art & Design in Boston with a BFA in Graphic Design. Soon after, she married her best friend and high school sweetheart. She now resides in the "quiet corner" of Connecticut with her husband and pup. LIKES: travel, taking pictures (lots), hiking, binge watching shows on Netflix, diving headfirst into a good book, bargain hunting, all things gold. Sampson fulfills his duties of being the right-hand man and emotional support system. He's always up for a walk, snack or nap. Staying true to his nickname as the "velcro dog", he's best at always sticking by your side. LIKES: riding shotgun with his head out the window, treats, walks, playing in the snow, a good swim. Working with August & Osceola was one of the least stressful parts of my wedding planning experience. Not only was Shanleigh super nice to work with, but she was extremely patient with a lot of my questions and the importance to stick within my budget. Her work is beautiful and unique, which is what I truly wanted when looking for a graphic designer for our wedding invitations. If you follow A&O on social media, you will notice that every single suite is unique and different, which was extremely important to me having an intimate wedding. I can't wait to see the final product, thank you so much Shanleigh! I cannot express enough how thrilled I am with the work Shanleigh has done for me. I highly recommend her to anyone looking for stationery and design needs. She is an excellent designer and truly has a gift at making ideas come alive on paper. It was as if exactly what I was picturing in my head, Shanleigh was able to make happen for me. Working with her on a custom design was easy, timely, and enjoyable. She was extremely patient and thoughtful throughout the entire process. She gave me a bunch of different options to look at for my design, and answered all of my questions (even the annoying and silly ones). As a businesswoman she is top notch; she is prompt, considerate, and extremely friendly. Of all my wedding vendors up to this point I have been happiest with Shanleigh, by a mile. In an age where there are businesses that make stock invites with ordinary and over-used designs, Shanleigh offers an option to people to truly make their cards unique, special, yet still affordable. My invitations are truly one of a kind and working one on one with the person who designed them makes this whole experience that much more positive. Shanleigh worked with me closely to help me come up with an invitation package for my wedding that would be one of a kind, yet still in my price range. I couldn't be happier. Thank you Shanleigh!! I received the invitations and they are absolutely everything I hoped they would be; the paper, the colors. I love the design even more in person. I am so ecstatic and I cannot wait to send them out. It has been a great pleasure working with you. Thank you for making my vision a reality. All the best to you in your business. I can see why you are on THBG's preferred list. Shanleigh is amazing and has created beautiful stationery for our wedding. She knows exactly how to bring your vision to life. I highly, highly recommend her! Shanleigh has done a beautiful job creating the perfect stationery for our wedding! She is so talented and easy to work with. I highly recommend going to August & Osceola for all of your wedding stationery needs! Working with Shanleigh has been such a pleasure! We lost our wedding venue and Shanleigh was so patient and understanding. I will be recommending August & Osceola to all of my friends for sure. I highly recommend them! Shanleigh was amazing to work with! She worked so hard to make sure our invitations were exactly what we wanted and created a beautiful and unique invitation and rsvp card for us! The entire process was so simple and exciting and I can't recommend August & Osceola enough! August & Osceola has by far been the easiest and most stress-free vendor to work with during our wedding planning! Having been previously following August & Osceola on social media, as soon as my fiancé and I got engaged, I knew I wanted Shanleigh to create our paper goods for our wedding. I wouldn’t have trusted anyone else to make our invitations, rsvp cards and programs. She was professional and very responsive throughout the entire process. Shanleigh is highly talented and the passion she puts into her work is easily seen in her products! Our paper goods arrived promptly and beautifully packaged. They turned out even more stunning than I could have imagined and I am so exited to use them for our wedding day! I would strongly recommend August & Osceola to anyone!! I searched high and low for something that fit my, and my fiancé's, style! Not only was August & Osceola a perfect match, but the personalized and professional experience we had through the design process was amazing! So blessed by the effort and time put into our invitations! Thank you so much! It's been an absolute pleasure working with Shanleigh! Her designs are one of a kind and she has a keen sense of her client's needs, which gives her the ability to reflect her client's personality on paper. The final product I received is absolutely beautiful, and Shanleigh's professionalism made the journey easy, fun and personal. I couldn't have asked for a better experience! My fiancé and I highly recommend August and Osceola for wedding invitations. Shanleigh was so helpful and professional. She worked with us every step of the way to make the invitation process simple and to ensure we got what we were looking for. Shanleigh answered any questions we had in a very timely fashion. August and Osceola has wonderful designs and the invitations were exactly what we were looking for. Shanleigh has been one of the highlights of planning our wedding. From the very beginning, she was there to support us in planning the aesthetic vision. We came in with a few ideas, and she worked with us to narrow down our thoughts to the final products. She is incredibly receptive to feedback, and was willing to make multiple edits to our proofs as we were going through the process. The way in which she was able to create three related groups of pieces, while allowing each to maintain it’s own ethos was remarkable. The materials themselves are well constructed and durable, which is important when mailing them or using them at the wedding itself. Shanleigh was also incredibly aware of the timeline and ensured that we would always have our paper goods in advance of the preset deadlines. 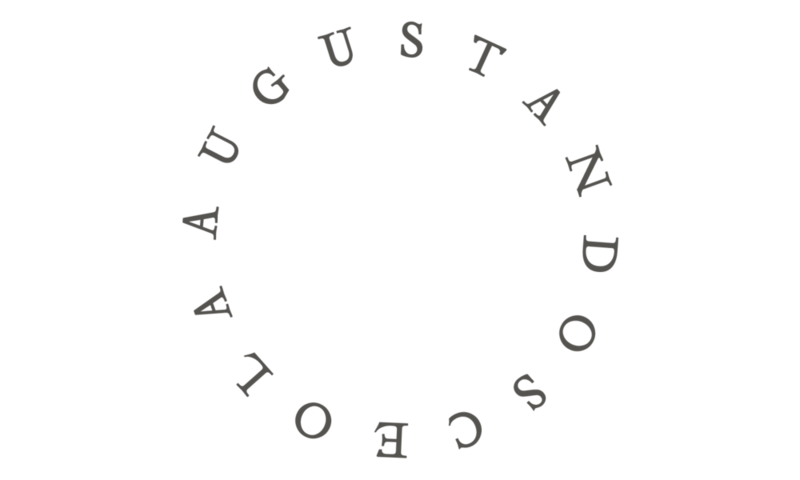 We would recommend August & Osceola to anyone looking for a truly personal and magical experience when creating paper goods.